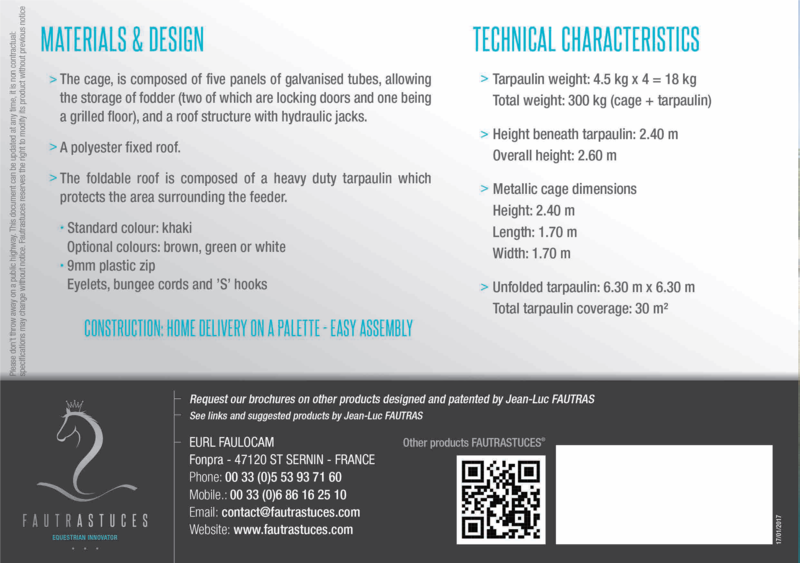 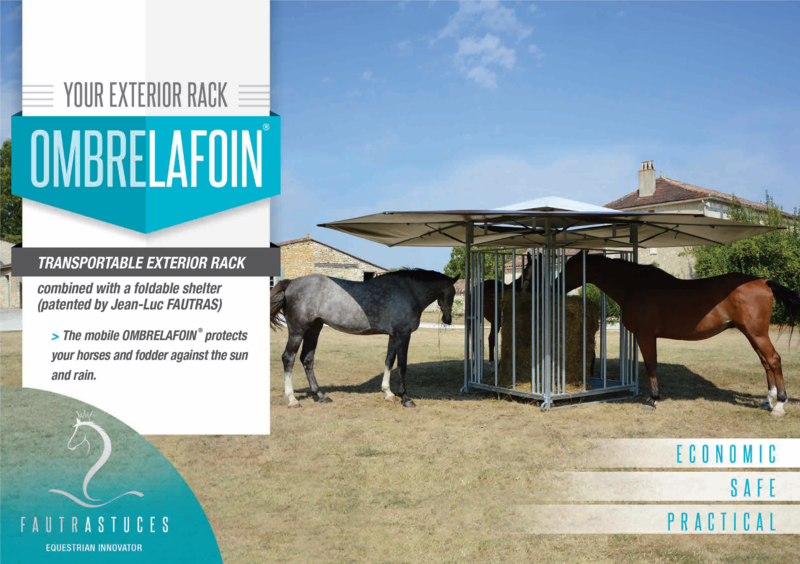 Transportable Exterior rack combined with foldable shelter (Patented by Jean Luc FAUTRAS). 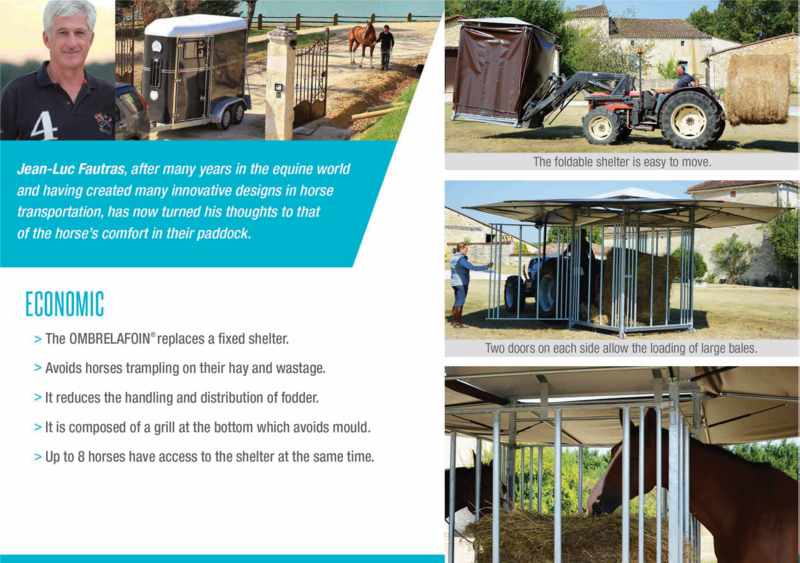 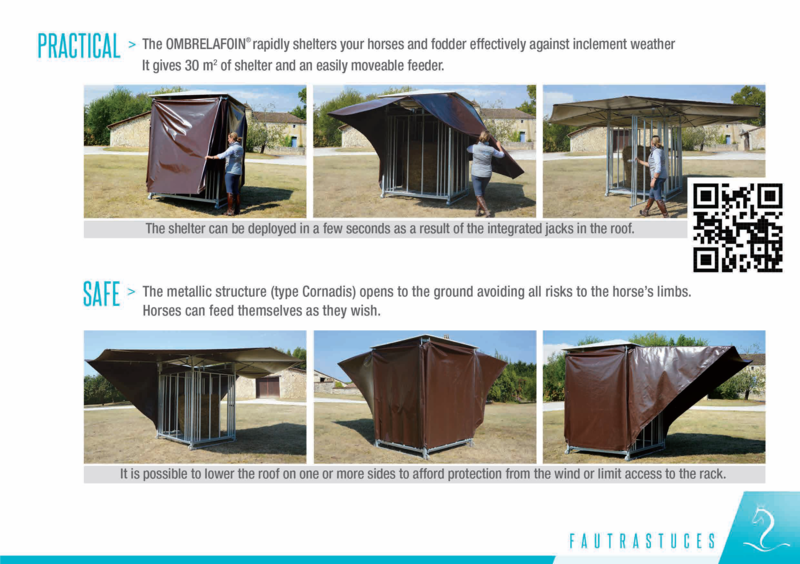 The mobile « OMBRELAFOIN®» protects your horses and fodder against the sun and rain. 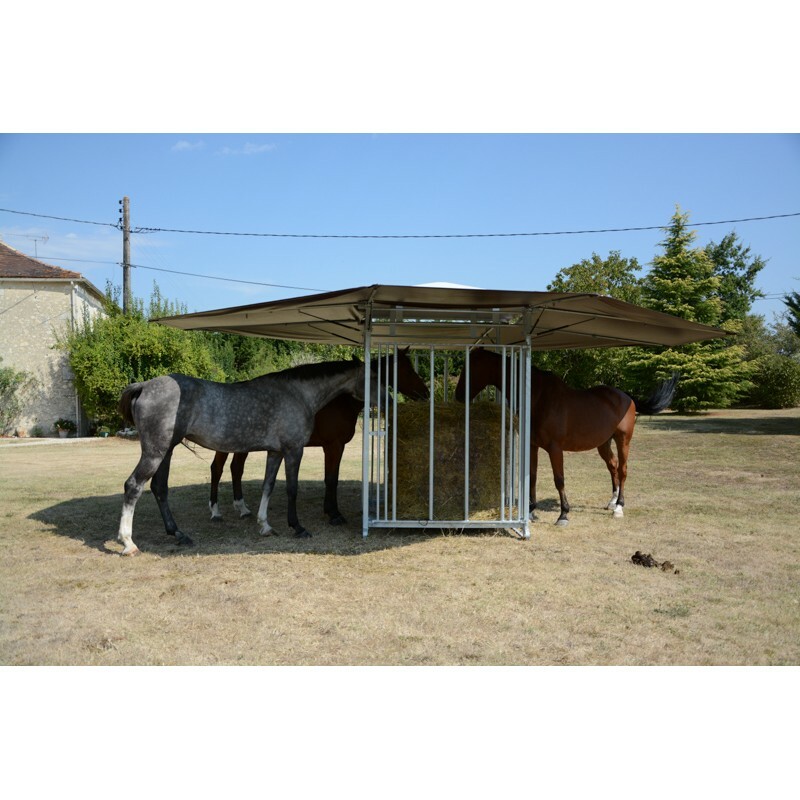 2 500,00 € tax excl. 3 000,00 € tax incl.